Thinking of doing some Volunteer WWOOFing in the southern states of Australia? Now is the time to start contacting Host Farms around Australia and start organising your itinerary. When it comes to climate in Australia, it is basically split in two halves, north and south. Northern Australia is typically tropical with wet and dry seasons, and Southern Australia has the usual Spring, Summer, Autumn and Winter. So now it is Spring down South. The yellow wattles have almost finished their winter flowering and the fruit trees are budding and flowering in anticipation of a summer harvest. Snows have melted in the high country and those desert nights are starting to feel even chillier. Spring and summer is usually quite mild in the southern states. Average temperatures range from 15-20 celcius overnight and 25-28 celcius during the day. Ocassionally temperatures do soar to 30 degrees or more, particularly the more inland you go. There are no wild weather events that afflict southern Australia. No cyclones, no hurricanes or tornados. Earthquakes are extremely rare and we don’t have any active volcanoes. Now is a very busy time in any vegie garden, whether it’s a commercial farm or a small hobby farm. Seeds to sow, seedlings to plant out and with the warmer days coming, the weeds just want to keep growing and growing. There are also the many winter crops that are being harvested to make way for new plantings. Cabbage, cauliflower, broccolli and onions coming out of the ground and tomatos, cucumbers and sweet melons being planted. It’s one of the best times of the year to be exploring Southern Australia, so if you haven’t found your next Host Farm yet … get searching on our Map Search or List Search pages. Also, keep an eye on the Notice Board for Hosts looking for eager WWOOFers to help. 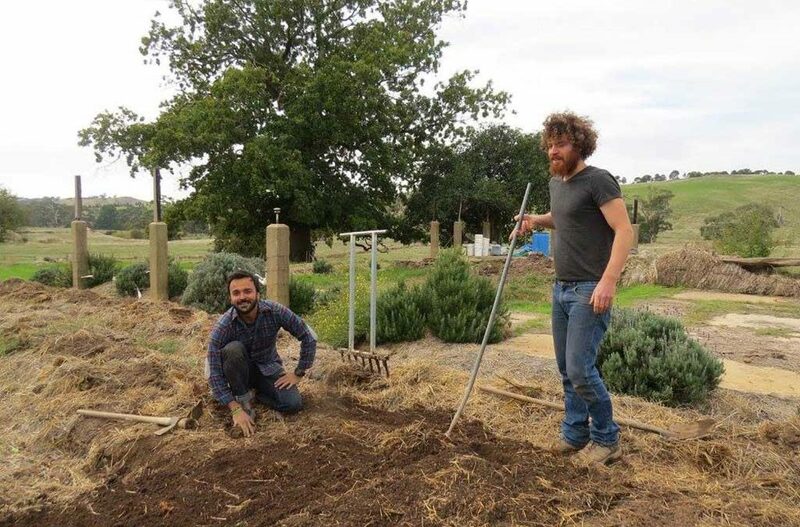 If you’re not already a member of WWOOF Australia, join now and start your cultural adventure in this Great Southern Land.